Very little is written or spoken about the First Fruits that are described in the scriptures. When anyone studies the scriptures and reads about of the First Fruits, they will find very little written by religious leaders of Christian or Jewish groups concerning the spiritual First Fruits that are with the Messiah on Mount Zion as described in the book of Revelation chapter fourteen. In earlier studies, we learned that these First Fruits are redeemed from humankind of the earth. These First Fruits will be found without sin in the eyes of Elohim because they have been forgiven of their sins and they have not tolerated any false doctrine in their beliefs. The casual reader of the English versions of the Bible will not be able to understand the above definition of First Fruits; when you read the verses of Revelation chapter 14: 1-5 of the King James Version of the Bible. This version was translated in the early 1600’s by translators that did not have available to them the Greek papyri from which to translate the scriptures. The English versions of the bible most readers read today are based on the work of Jerome, a highly-educated monk around 400 CE. Jerome was a Christian scholar deeply steeped in the Christian doctrine of the Roman Catholic Church. There does not appear to be any direct evidence what Greek documents Jerome used in his work on the Vulgate. There is speculation he relied on the work of earlier Catholic writers such as the Hexapla by Origen that was believed to have been obtained from the library at Caesarea. The work of Origen itself was the subject of controversy as to its accuracy. The King James Version of the English Bible was also largely dependent on work that was known as The Textus Receptus. The Textus Receptus was primarily the work of a Dutch Roman Catholic Priest and a Greek Scholar named Desiderius Erasmus. They first published the Greek New Testament text in 1516. Their work was based on only two inferior twelfth century manuscripts. (The Text of the New Testament: Its Transmission, Corruption, and Restoration, Third Edition, Oxford University Press, 1992, pages 95-118), by Bruce Metzger, a professor at Princeton University. There are several books written in recent years describing the inaccuracies in the English Versions of the Bible, especially the New Testament. A serious Bible student can understand the scriptures if they are willing to compare the Old and the New Testament Scriptures and to look at those scriptures as they were written in the appropriate language either Hebrew or Greek. The serious Bible student must also understand the symbolism used in the scriptures and the figurative meaning of words as well as literal. The creator knew what he was doing when he gave us his words in the form we have today. Just as the Messiah spoke to the multitudes in parables so too is the Bible in a form to be understood by those Yahweh intends. Millions think they know what the scripture really say, but unless they know how to obtain the Holy Spirit of Elohim and seriously study the scriptures, they do not understand. In fact, the scriptures tell that almost all of Israel is blocked from knowing the scriptures. The Jews, are the one visible tribe of Israel, but all tribes are blocked from understanding the scriptures; this is a very good reason not to look to the Jews for the correct means to salvation. The ten lost tribes of Israel have been scattered throughout the nations, they do not know their heritage, and they don’t understand they are descendants of the rebellious Israelites described in the scriptures. These descendants are just as rebellious as their forefathers. They practice a form of religion that is separate from Judah, but they like Judah are blinded and cannot understand the scriptures. The rebellious Israelites now mostly practice a religion called Christianity. They don’t know the Holy Name of the Father and his Son. They don’t keep his commandments just as the forefathers disobeyed so do they. They are just as stiff-necked as the Jews. They believe they are correct in the keeping of their religious ceremonies full of pomp just as do the descendants of Judah. They celebrate their non- scriptural holy days two of the most noted, Christmas and Easter, along with other pagan days they justify in their minds, to their own pleasure and destruction. Why does mankind not listen to the scriptures? Why are they not obedient to Elohim? The scriptures make it clear why mankind is disobedient. The Messiah tells us himself in his recorded words in the Bible. Yahshua was speaking about man’s carnal nature. Men and women care for themselves first. They want to have material goods, and they want more material goods than other men and women. They take pride in their possessions, their houses, clothes, cars, and even their children. The more they have, the prouder they are. How does Elohim feel about the pride of mankind? 5 YAHWEH detests all the proud of heart. We are told in the scriptures that Israel was proud throughout her recorded history in the scriptures. We are also told in the scriptures that all the tribes of Israel will continue in their pride until they are restored to the lands promised to them through Abraham. Even though Israel has not kept its word and honored the covenant, they agreed to at Mount Sinai Yahweh will place them in the Promised Land. But Israel will be cleansed of their sins and their pride taken away before they can enter that land. And the YAHWEH alone will be exalted in that day. 2 In that day the Branch of the YAHWEH will be beautiful and glorious, and the fruit of the earth will be the pride and the adornment of the survivors of Israel. 3 It will come about that he who is left in Zion and remains in Jerusalem will be called holy — everyone who is recorded for life in Jerusalem. 4 When the Yahweh has washed away the filth of the daughters of Zion and purged the bloodshed of Jerusalem from her midst, by the spirit of judgment and the spirit of burning, 5 then the YAHWEH will create over the whole area of Mount Zion and over her assemblies a cloud by day, even smoke, and the brightness of a flaming fire by night; for over all the glory will be a canopy. 6 There will be a shelter to give shade from the heat by day, and refuge and protection from the storm and the rain. The physical descendants of the nation of Israel will once again occupy the land promised to them through Abraham even though they broke the covenant by not keeping the commandments given them by Yahweh at Mount Sinai. There is a big difference, however, between the Old Covenant given to the Israelites at Mount Sinai and what is called the New Covenant in the Scriptures. For I received from Yahweh that which I also delivered to you, that the sovereign Yahshua in the night in which He was betrayed took bread; 24 and when He had given thanks, He broke it and said, “This is My body, which is for you; do this in remembrance of Me.” 25 In the same way, He took the cup also after supper, saying, “This cup is the new covenant in My blood; do this, as often as you drink it, in remembrance of Me.” 26 For as often as you eat this bread and drink the cup, you proclaim the Yahweh’s death until He comes. When the Messiah came to earth as a man and gave his life as a sacrifice for the sins of man he made possible the New Covenant. The Messiah Yahshua was symbolized in the Old Testament by the lamb Sacrificed at Passover. That Passover lamb was a physical symbol, given to us in scripture, of the coming Messiah whose life would be sacrificed for the sins of man. Just as the death angel passed over the houses of the physical Israelites and spared their firstborn, Yahshua’s sacrifice will prevent the death of the First Fruits. What is the meaning when the scriptures proclaim Yahshua’s death will prevent the death of the First Fruits? The scriptures clearly tell us that all men must die. 21 For since by a man came death, by a man also came the resurrection of the dead. 22 For as in Adam all die, so also in Messiah all will be made alive. 23 But each in his own order: But now Messiah has been raised from the dead, the First Fruits of those who are asleep. Messiah the First Fruits, after that those who are Messiah’s at His coming, 24 then comes the end, when He hands over the kingdom to the Elohim and Father when He has abolished all rule and all authority and power. Without the Holy Spirit of Elohim, in their minds and hearts, mankind will not be in the Kingdom as sons of Elohim, co-inheritors of the Kingdom with Yahshua. An if you are living according to the flesh, you must die; but if by the Spirit you are putting to death the deeds of the body, you will live. 14 For all who are being led by the Spirit of Elohim, these are sons of Elohim. 15 For you have not received a spirit of slavery leading to fear again, but you have received a spirit of adoption as sons by which we cry out, ” Abba! Father!” 16 The Spirit Himself testifies with our spirit that we are children of Elohim, 17 and if children, heirs also, heirs of Elohim and fellow heirs with Messiah if indeed we suffer with Him so that we may also be glorified with Him. The scriptures have many symbols within them. These symbols have a purpose. The symbols in the scriptures are Elohim’s method of speaking to those who are led by the Holy Spirit. The symbols will not be fully understood by people who just read the bible no matter if they are professors, theologians, or preachers. Just as Yahshua spoke in parables to the multitudes, Elohim speaks through the scriptures in symbols and figuratively as well as literally so that those who are led by the Holy Spirit will be able to understand the true meaning of the scriptures. Elohim is not now trying to save everyone as theologians, and preachers teach many. Only those who will be First Fruits are the ones for which the scriptures are intended. 16 ” But blessed are your eyes because they see; and your ears, because they hear. 17 “For truly I say to you that many prophets and righteous men desired to see what you see, and did not see it, and to hear what you hear, and did not hear it. In the above scriptures, we learn that many prophets and righteous men desired to see what Yahshua was teaching his disciples. All the prophets and righteous men and women that lived before the Holy Spirit arrives upon earth for the indwelling of mankind could not understand the plan of salvation that Elohim has for mankind because in the Old Testament the scriptures did not exist. Israel, the prophets, and all that were instructed to perform task s for Yahweh were led by visions in dreams or the commandments and statutes given to Moses by Yahweh at Mount Sinai. Most of the popular denominations of Christianity teach that people will go to heaven when they die if they accept the Messiah as their savior. They somehow believe that all those who believe in Yahshua, mistakenly called Jesus, are heaven bound. They think the Old Testament is for history and for the Jews, not for them because they are not under the law. They seem to ignore the scriptures in the New Testament that clearly say that the Saints keep the commandments and that sin is breaking the law. 4 Everyone who practices sin also practices lawlessness, and sin is lawlessness. 12 Here is the perseverance of the saints who keep the commandments of Elohim and their faith in Yahshua. Does Elohim then ignore all those who lived on earth before Yahshua gave his life for the sins of mankind? What about all those died before they even heard of the Messiah, do they die and go to eternal fire in hell even though they never had an opportunity to be saved because they lived before the Messiah? Does anyone really think that those who were obedient to Elohim in the Old Testament will not be in the Kingdom? Do they think Abraham, Moses, Samuel, and King David who lived before the Messiah died or lived as a man will not be in the Kingdom? The scriptures, when studied, gives information that will allow the elect to understand what Elohim wants them to know. In the book of Daniel, we can learn that information would be more readily available in the future. These three verses reveal information that if everyone who claims to know the scriptures would have to change their beliefs. In verse two Daniel is told that many who sleep in the ground will awake to everlasting life. What does this mean to the doctrine of going to heaven when you die? Modern scholars, theologians, and ministers may have an explanation to cover the meaning of this verse to their readers and followers, but when you take all the scriptures, including symbols, into account, the doctrine of going to heaven upon death is false. What about Daniel himself, what did the angel tell Daniel was his future? In verse nine of Daniel Chapter 12, Daniel hears words, but he did not understand. He is told the words are concealed and sealed up until the end time. Daniel is told the wicked will not understand, but those who have insight will understand. Daniel is told to go on his way, that he will enter into rest, death, and that he will rise again for his allotted portion at the end of the age. The scriptures tell us that Yahweh blessed Daniel. Daniel was given an understanding of dreams and visions no one else could understand. Daniel obeyed Yahweh even in the face of certain death in the den of lions, but Daniel was not given the knowledge reserved for the enlightened ones. “Those who have insight will shine brightly like the brightness of the expanse of heaven and those who lead the many to righteousness, like the stars forever and ever.” There would be, after Daniel, people who will have insight and those who lead many to righteousness. Who do you think those who will have insight will be? Where will they obtain their insight? Where does Elohim have stored the information that people need to know to live lives of righteousness? The answers to these questions are clear to some but not for the wicked arrogant and proud, just as Yahweh desires. The book will be sealed up until the end time. Many will go back and forth, and knowledge will increase. The implication here is the book will be opened at the end time, and people will obtain knowledge because the book is unsealed. Until the nineteenth-century man did not have the knowledge of the correct assemblage of the scriptures, the research to allow understanding of the scriptures in Hebrew and Greek, the knowledge of world history assembled inaccessible methods to the masses, and the tools to allow for the ready access to vast amounts of information available. With the advent of computers and the Internet, it is now possible to have access to huge amounts of information that allows for the comprehensive study of the scriptures, world history, and the nature of matter for people to begin understanding what Elohim has told us in the scriptures. The Bible is a very complex series of documents. The scriptures are filled with symbols. False definitions have been included in the various versions of the Bibles. Centuries of false understanding have permeated teachings among religious leaders. These false teachings have led many astray, to the point where very few understand the meaning of the scriptures. To answer the question; what about the people who were obedient to Elohim, before the Messiah gave his life for mankind, will they be in the Kingdom? We read in Daniel Chapter 12 Daniel will sleep until the end of the age. He will then arise to his reward, inheritance, or allotment depending on the version of the bible you read. 7 “This is what YAHWEH Almighty says: ‘If you will walk in my ways and keep my requirements, then you will govern my house and have charge of my courts, and I will give you a place among these standing here. 8 “‘Listen, O high priest Joshua and your associates seated before you, who are men symbolic of things to come: I am going to bring my servant, the Branch. 9 See, the stone I have set in front of Joshua! There are seven eyes on that one stone, and I will engrave an inscription on it,’ says YAHWEH Almighty, ‘and I will remove the sin of this land in a single day. In the prophetic book of Zechariah chapter 3 verses 7 through 10 some insight is given to the answer. In these verses, Yahweh is speaking through Zechariah to Joshua the high priest, the son of Jehozadak. In this instance, Yahweh tells us that Joshua and the men in front of him are symbolic of things to come. Yahweh tells us he will remove the sins of this land, Israel, in a single day and in that day Joshua and the men of the front of him will invite his neighbor to sit under his vine and fig tree. In this symbolic prophecy, the single day Yahweh refers to is not likely a twenty-four day which with we are now familiar. It does appear however that the symbolic Joshua and the men in front of him are symbols of a physical restoration and not a spiritual resurrection. This would lead to the logical conclusions that people who were obedient to Elohim before Yahshua’s sacrifice will be resurrected to a physical life in the physical kingdom of Israel. It also appears in some of them, at least, will have positions of power and authority in that Kingdom. These persons could be represented by the first fruit offering of barley described in Leviticus 23:10. This first fruits offering is important and different from the previous first fruit offerings in the scriptures because it does not take place until Joshua the son of Nun has brought the tribes of Israel into the land promised them through Abraham. The barley first fruit offering is also different from the first fruit offering that takes place at the Feast of weeks. 15′ You shall also count for yourselves from the day after the Sabbath, from the day when you brought in the sheaf of the wave offering; there shall be seven complete Sabbaths. 16’You shall count fifty days to the day after the seventh Sabbath; then you shall present a new grain offering to the YAHWEH. 17’You shall bring in from your dwelling places two loaves of bread for a wave offering, made of two-tenths of an ephah; they shall be of a fine flour, baked with leaven as first fruits to YAHWEH. This first fruit offering takes place at the Feast of Weeks or in Greek at Pentecost. It is generally recognized as symbolic of the establishment of the New Covenant apostolic assembly. In General, Christians believe that the New Covenant assembly receives the Holy Spirit for the very first time at Pentecost. Both Christian and Jewish religious leaders have largely ignored the symbol of leavened bread, but it presents a quandary for these leaders. When you check the writings of religious leaders and commentators, you find they have been teaching that leavening is symbolic of sin, corruption, and false doctrine. This teaching can be traced back centuries to early rabbinic teachings. Almost every known commentator mentions the leavened bread in Leviticus chapter 23, but with no explanation as to its significance. This presents a conflict to the teaching that leaven symbolizes sin, corruption, and false teaching. For Centuries rabbis, have taught their followers to search diligently to rid their dwellings of all traces of leavening to symbolize ridding their followers’ dwellings of sin, false doctrine, and corruption before the Feast of Unleavened bread. Even Sabbath keeping groups and some using the true names of the father and son have followed these traditions. This raises the question how could Yahweh order an offering be made to him that symbolizes sin, corruption, and false doctrine? When we look at the Old Testament scriptures covering the Feast of Unleavened Bread, we find an entirely different meaning for the feast. 6 “For seven days you shall eat unleavened bread, and on the seventh day there shall be a feast to the YAHWEH. 7 “Unleavened bread shall be eaten throughout the seven days, and nothing leavened shall be seen among you, nor shall any leaven be seen among you in all your borders. 8 ” You shall tell your son on that day, saying, ‘It is because of what YAHWEH did for me when I came out of Egypt.’ 9 “And it shall serve as a sign to you on your hand, and as a reminder on your forehead, that the law of YAHWEH may be in your mouth; for with a powerful hand YAHWEH brought you out of Egypt. 10 “Therefore, you shall keep this ordinance at its appointed time from year to year. There is nothing in the scriptures that would indicate the Feast of Unleavened Bread is a symbol of sin, corruption, or false doctrine. This teaching appears to be nothing less than false doctrine. To give further evidence of this being a false doctrine, Jewish religious leaders had taught that their followers must rid their dwelling places of leavening before the feast of unleavened bread because the Old Testament Passover was to be eaten with unleavened bread. ‘Now this day will be a memorial to you, and you shall celebrate it as a feast to YAHWEH; throughout your generations, you are to celebrate it as a permanent ordinance. 15′ Seven days you shall eat unleavened bread, but on the first day you shall remove leaven from your houses; for whoever eats anything leavened from the first day until the seventh day, that person shall be cut off from Israel. 16’ On the first day you shall have a holy assembly, and another holy assembly on the seventh day; no work at all shall be done on them, except what must be eaten by every person, that alone may be prepared by you. Notice beginning in verse 15 of Exodus chapter 12 that the leavening was not to be removed from their dwelling places until the first day of The Feast of Unleavened Bread. In verse 16 of the same chapter, we can read that the first day of The Feast of Unleavened Bread was to be a holy day and no work was to be done on that day except to prepare food that was to be consumed by the assembly. Cleaning dwelling places of every spec of leavening, as the rabbis taught and still teach, would be and thus not allowed by Yahweh. In addition to these scriptures, it is even more apparent that leavening cannot be symbolic of sin, corruption, and false doctrine by observing the very words of the Messiah himself. In the New Testament Yahshua refers to himself symbolically as the bread as the bread of life and the living bread. The Greek word used in the scriptures is number 740 in Strong’s dictionaries and is artos. Artos is defined in Strong’s as a raised loaf. It is described in Thayer’s Greek lexicon as a loaf or round cake about as thick as a thumb. Credible scholars’ description of artos substantiates that Yahshua referred to himself as a loaf that was raised by some type of leavening agent. To better understand the symbol of the leavened loaf, we must understand the meaning of Pentecost. 26’Also on the day of the first fruits, when you present a new grain offering to YAHWEH in your Feast of Weeks, you shall have a holy convocation; you shall do no laborious work. 22 “You shall celebrate the Feast of Weeks, that is, the first fruits of the wheat harvest, and the Feast of Ingathering at the turn of the year. 17 From wherever you live, bring two loaves made of two-tenths of an ephah of fine flour, baked with yeast, as a wave offering of first fruits to the YAHWEH. The two loaves made with fine flour of wheat and yeast or leavening is an offering of first fruits to Yahweh. This first fruit offering is different from the wave offering of grain from barley that occurs fifty-one days earlier. There are two first fruit offerings. One is a wave sheaf of barley, and the other is two loaves made from fine wheat flour raised with leaving. The first is the beginning of a finished product, the raw material from which bread can be made. The second is a finished product, bread made of fine flour and raised with leaven. They are both first fruit offerings made to Yahweh. We know from acts in chapter two that the Holy Spirit descended on what became to be known as the apostolic assembly. At Pentecost, The Feast of Weeks, when the two loaves of leavened loaves made with fine flour were to be offered to Yahweh, the people of the apostolic assembly were filled with the Holy Spirit. The Holy Spirit of Elohim did not fill people until after the sacrifice of the Messiah. These people were spirit filled and could become the First Fruits of fine flour, a finished product, provided they were obedient to Elohim and the Holy Spirit grew within them, and they overcome their human carnal nature until their physical end. It is no mere matter of happenstance that the two loaves of fine leavened bread were offered to Yahweh at The Feast of Weeks. It has been Elohim’s plan all along to have the First Fruits serve with Yahshua in the coming Kingdom. These First Fruits will be the finished product of Elohim. They will be sons of Yahweh and brothers of Yahshua. They will be the 144,000 with Yahshua when he returns to earth to establish and rule his everlasting kingdom. Rev. 14:4 They will serve from Mount Zion, the heavenly Jerusalem, where the throne of the Father and Son will be. These First Fruits filled with the spirit, symbolized by the leavened loaves offered to Yahweh in Leviticus chapter 23, will be a kingdom of priests. I speak to sensible people; judge for yourselves what I say. 16 Is not the cup of thanksgiving for which we give thanks a participation in the blood of Christ? And is not the bread that we break a participation in the body of Christ? 17 Because there is one loaf, we, who are many, are one body, for we all partake of the one loaf. The First Fruits, symbolized by the barley offering could also serve in the Kingdom, but the scriptures seem to indicate they will serve as resurrected physical beings, having positions of leadership in physical Israel. We can only speculate as to why there are two loaves offered to Yahweh at The Feast of Weeks. It does seem logical that one loaf represents Yahshua and the other the First Fruits that serve with Yahshua in the heavenly Jerusalem. We know Yahshua is filled with the Holy Spirit of Elohim, he is the first First Fruit, and he referred to himself as the raised loaf bread of life in the scriptures. The apostle Paul told the Ephesians and us, it has been Elohim’s plan before we existed to have a spirit-filled First Fruits serve in the Kingdom. 11 In him we were also chosen, having been predestined according to the plan of him who works out everything in conformity with the purpose of his will, 12 in order that we, who were the first to hope in Messiah, might be for the praise of his glory. 13 And you also were included in Messiah when you heard the word of truth, the gospel of your salvation. Having believed, you were marked in him with a seal, the promised Holy Spirit, 14 who is a deposit guaranteeing our inheritance until the redemption of those who are Elohim’s possession-to the praise of his glory. Most of the world does not understand Elohim’s plan of salvation for humankind. Even educated religious leaders do not understand the doctrine of First Fruits. Where have you heard that the First Fruits will serve in the heavenly Jerusalem, hovering above the earth, where the throne of both the Father and Son will be positioned? 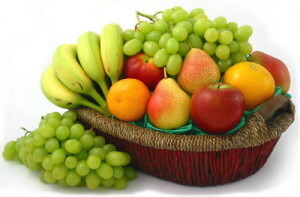 Have you heard about two first fruit offerings each symbolizing something of importance to Yahweh? Why do men ignore these symbols? Do you think the reason might be religious leaders can’t explain these symbols because they conflict with the false teachings they have been following for centuries? It is very difficult for men to admit they have made mistakes. Most religious leaders will not repent and change. Have you heard of any religious leader make a public pronouncement that he baptized people in the wrong name? In verse 23 of Hebrews 12, the English words church of the firstborn were translated from the Greek words ekklesia, prototokos that means a group of called out first born. In case you have not heard this before Yahweh has announced he will destroy the wickedness on the earth by fire. This destruction will take place, according to the scriptures, when a government symbolized as the fourth beast government, described in Daniel chapter 7 rules on the earth. That time is now. Read YNCAs article “The Mark of the Beast” for a more complete explanation. “for the day I will stand up to testify. Even though Yahweh has declared in writing his plans to destroy the wickedness of humankind on the face of the entire earth, most people will choose to ignore his warnings and realize too late they will not be in the Heavenly Jerusalem living an eternal life with happiness and joy. Instead, their fate will be much different and much less pleasant. Study the scriptures for yourself and learn how to happily ever after. Will you abide in the heavenly Jerusalem?